By TLex INTRODUCING the new ZEGNA High-Performance SEA DIVER, a bauble-free fashion diver that is more diver than it is fashion. So how did an Italian luxury men’s fashion house pull off such a beautifully executed dive watch? 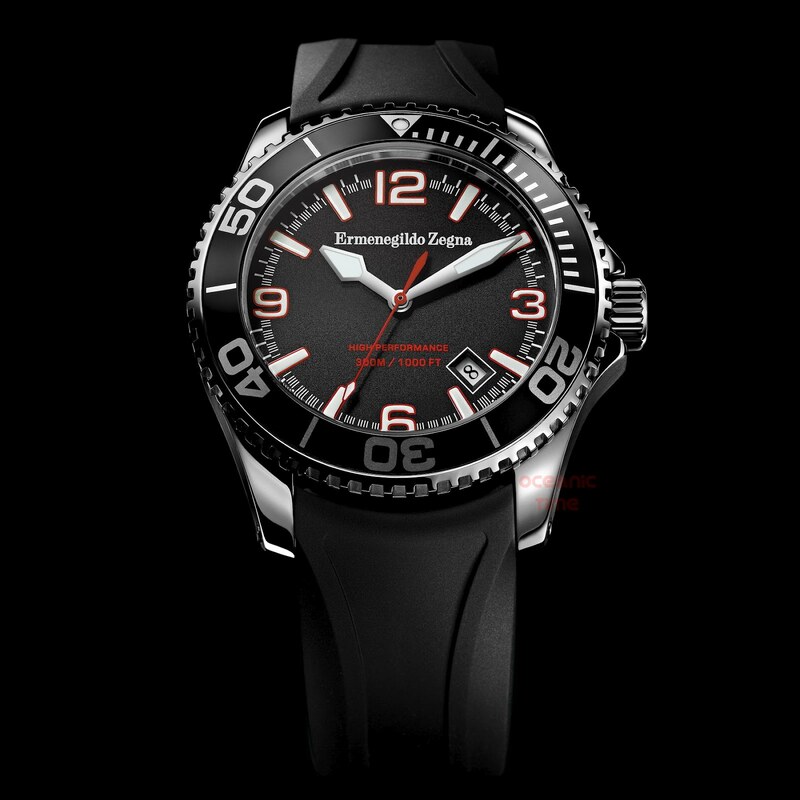 That's easy; when Ermenegildo Zegna decided to develop a dive watch they turned to one of the best that there is in the industry and put their new dive watch in the very capable hands of the Girard-Perregaux Manufacture’s design team. This would explain the feeling of familiarity that you get when you first see the Sea Diver’s images. 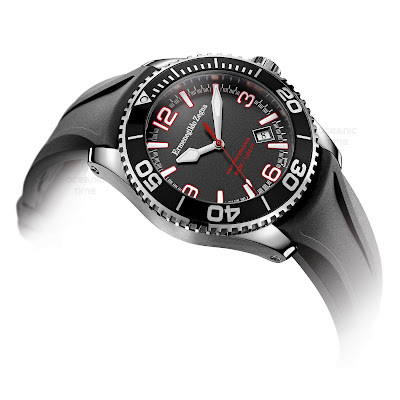 Swiss watchmakers, Girard-Perregaux are part of the Sowind group, which also includes the JeanRichard Manufacture, who we know for the AQUASCOPE and DIVERSCOPE. GP have their legendary Sea Hawk family of dive watches that includes the SEA HAWK 1000 and the superlative 3000 meter Sea Hawk II Pro that wouldn't have been too far from their minds when working on Zegna's diver. The overall design of the watch has the same refined ruggedness to it that you might expect to find with a Sea Hawk albeit with a pretty generic case design. However it’s the dial where the design team seems to have been busiest. 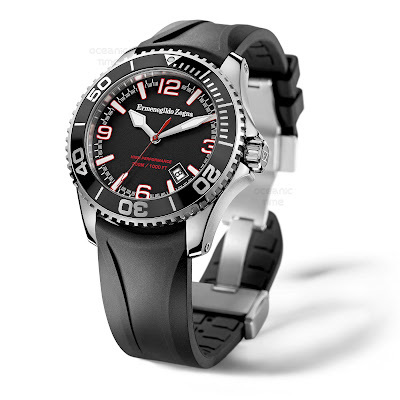 I also wonder if we can expect a Sea Hawk-style lume application?! That would be cool. Notice the combination of Seamaster sword minute hand with vintage serpent-headed hour hand. 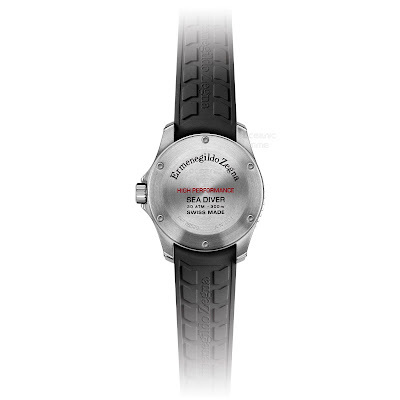 The dive watch connoisseurs among you might also appreciate the ‘Double Red’ printing of the words ‘High Performance’ above the watch’s maximum operating depth. Strike a chord? 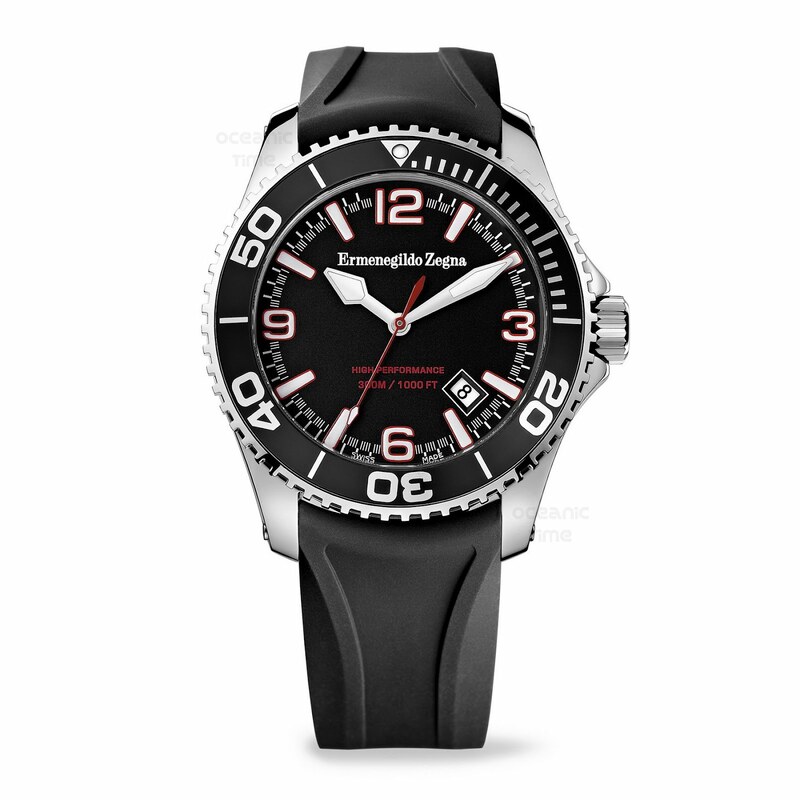 Not just a designer name and pretty face for the fasionistas then, but a noteworthy dive watch in its own right. 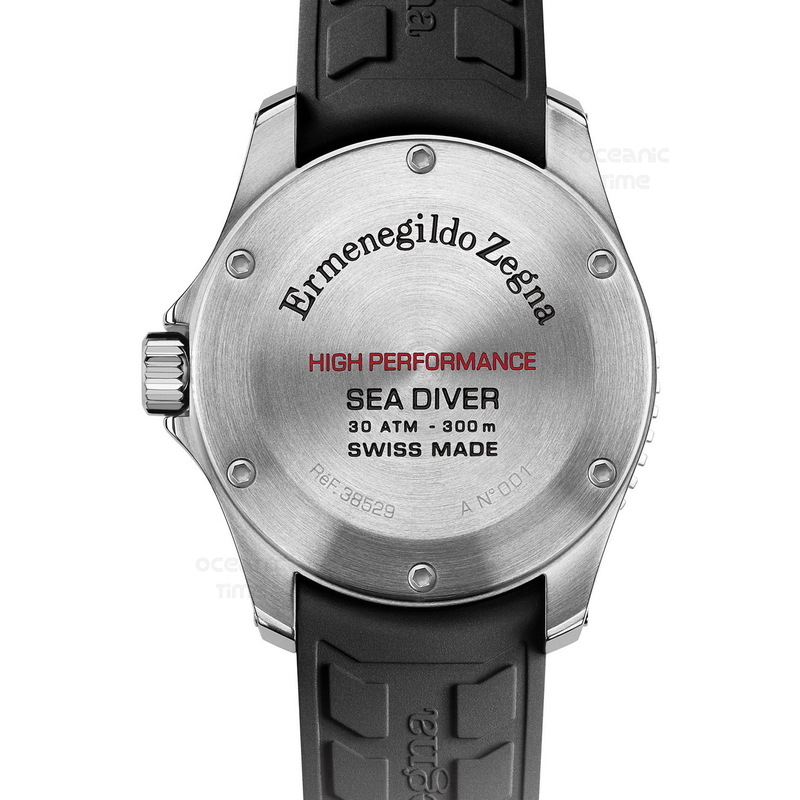 Further features of the ZEGNA High-Performance SEA DIVER include: a stainless steel case with screwdown crown and solid steel engraved caseback. The caseback, which should have really been a screwdown type in my opinion, sports a rather sedate looking text engraving; no porpoises snaking their way tridents here. Then there's a unidirectional divers bezel fitted with a boldly detailed blackened aluminum insert with elapsed dive time and of course its water-resistance of 1000 feet or 300 meters. 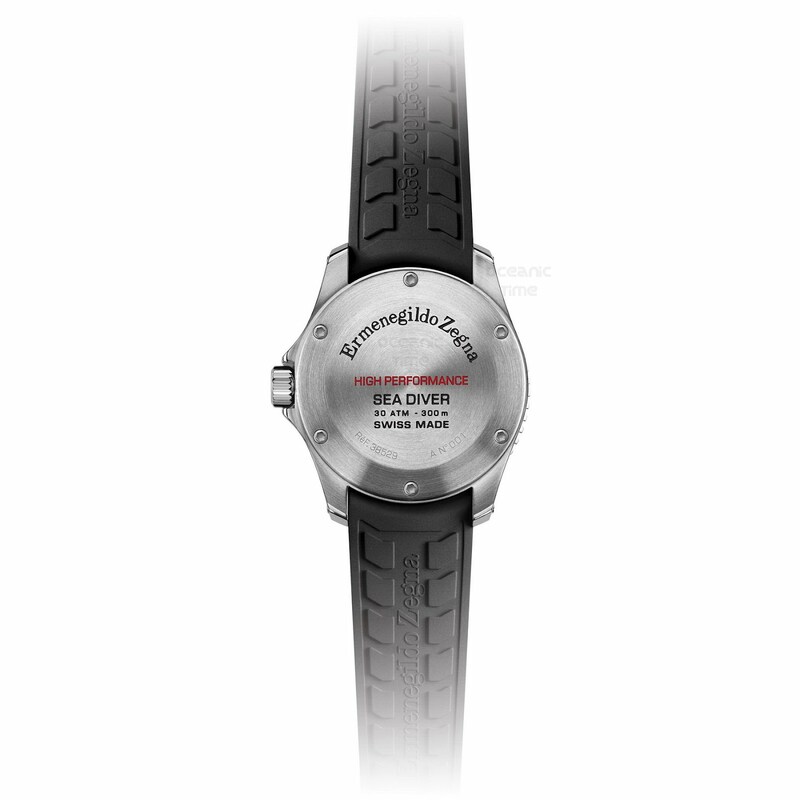 Under the hood is an ETA automatic movement with a custom Ermenegildo Zegna 'HIGH PERFORMANCE' rotor. Finally as you can see the watch is presented on a very lovely looking GP-style rubber divers strap with a butterfly clasp with divers extension. 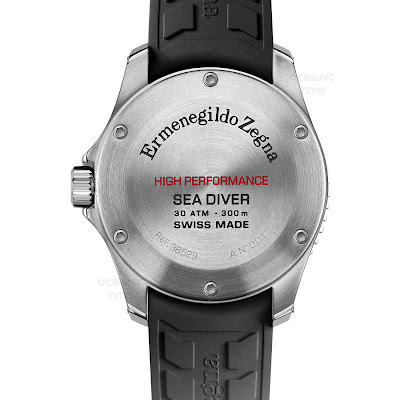 The High-Performance Sea Diver is already available from Zegna, where it retails for 2500 Euro or 2800 CHF.